Home / Life at the Manor / Green egg, no ham. Ayinnanku has started laying! I have been saying for weeks that the young hens would start aaaany minute now and finally one of them has come through for me. Ayinnanku being an Ameraucana, a breed which is a cross between the blue-egg-laying Araucana and any American breed, we weren’t really sure what color egg would turn up when she started. 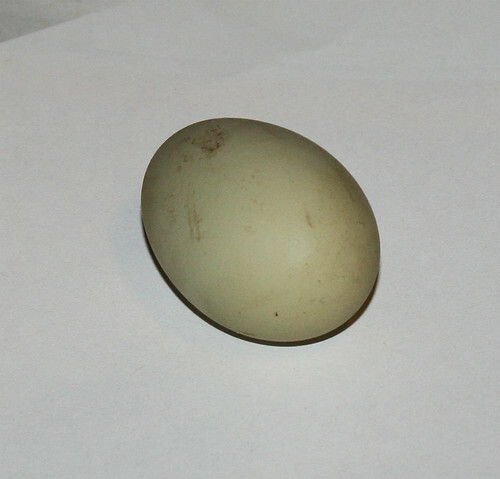 As it turns out, she must be crossed with a brown egg layer, because what we got was a lovely pale olive-green egg. Behold!